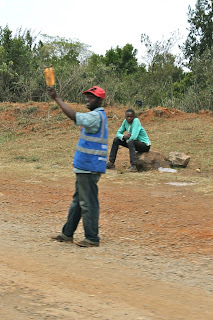 The best way to explain Kenyan culture is through snapshots. There was much we had to learn about living in this culture, and much we loved about it. an inside view of the "squatty potty"
it is to see things like this. Chai is an extremely important aspect of Kenyan culture. lunch, mid-afternoon, and again in the evening. at home with our househelpers too. his first cup of chai with our househelper. nowhere else you need to be!